Claudia Verburgt was born on the 18th of November in 1993 in London, the UK. Claudia was introduced to horses at a young age as her parents owned horses for leading British rider Di Lampard. At the age of 18, she moved to the Netherlands to study and focus on her riding. 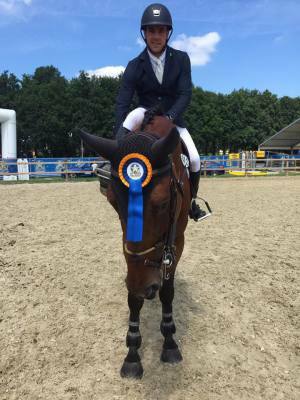 She had a successful junior and young rider career, competing for the Netherlands at various nation cup events & European Championships. At the same time she completed her BA degree specializing in politics at the University of Maastricht. 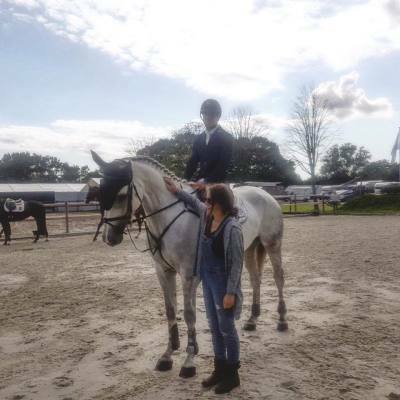 After university Claudia dedicated herself to a full time career in the equestrian industry. 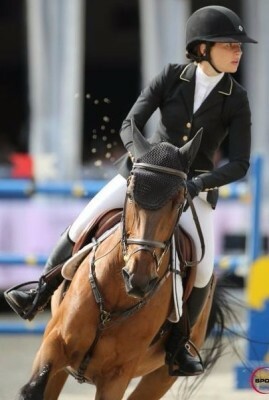 In 2016 she competed at the World Championships for young horses and at the age of 23, she jumped on her first senior nations cup team for the Netherlands, both on horses bred and produced by herself and her parents. Wout Vlemmix was born on the 9th of April in 1987 in Lommel, Belgium. Wout was introduced to horses at a young age, as his father is the owner of a showjumping stable. Wout had a prolific career on ponies, competing successfully for Belgium all over the Benelux. After taking a break from horses in which he completed his education in engineering, he returned to the equestrian profession at the age of 20. Wout was adamant that he wanted to gain experience away from home, and he spent the next five years abroad, first in the Netherlands riding for Mark Houtzager, and then in Switzerland, riding for Jurg Notz. After his years abroad, he returned to work together with his father, riding and trading in quality showjumpers. During those years, Wout produced many young horses, of whom a number have gone on te be successful at the highest level of the sport, such as Cupido (Denis Lynch), Caelle (Laura Kraut) and Cady B (Thomas Ryan). In 2017 Claudia and Wout moved together to their own stable in Hoogeloon, and created Abbervail Equestrian. The aim of the company is to own, compete, and sell successful showjumping horses. Abbervail Equestrian also offers services such a producing, competing and selling horses for owners. Claudia and Wout are very fortunate to have great support and guidance from their respective families and also to have a great team of people involved in the daily management of the horses.